Design Team Feature Thursday - Dina Kowal! 108 posts categorized "Techniques & Product Tutorials"
This week's featured Designer is Dina Kowal! Our Featured Design Team member today is... Dina Kowal! 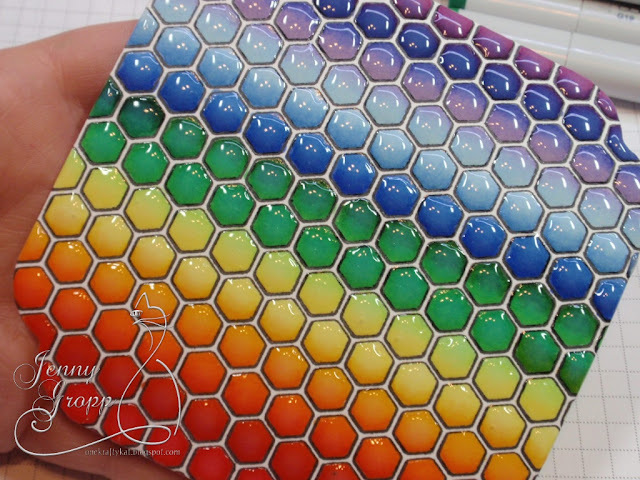 Love this fun dimensional technique by Jenny Gropp! I really was in the mood to color! So I pulled out the new Vintage Honeycomb Background once again. Every time I see this I think of Sandy's Hex Chart for Copics. I gave the background a little rainbow makeover and added a little die cut. After all the coloring I couldn't cover it up! 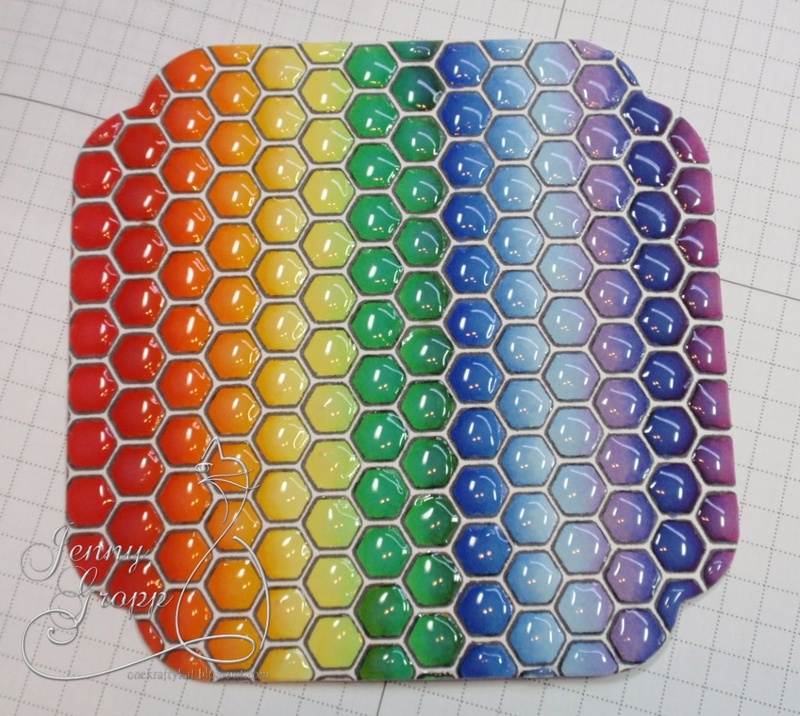 AND then.... after I colored in the little hexes I thought it would be fun to make them all glossy! About halfway through I was rethinking that idea! LOL... but kept going. It is vibrant and very shiny in person! 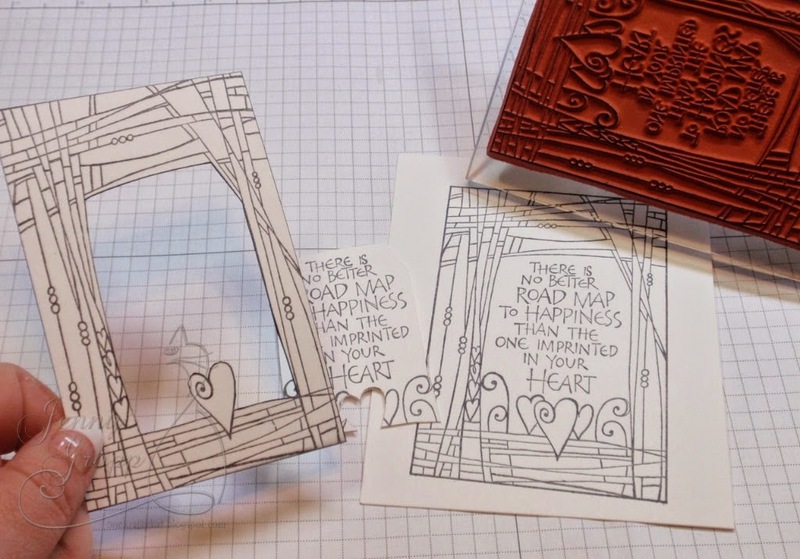 The die cut heart is popped up for a little added dimension. 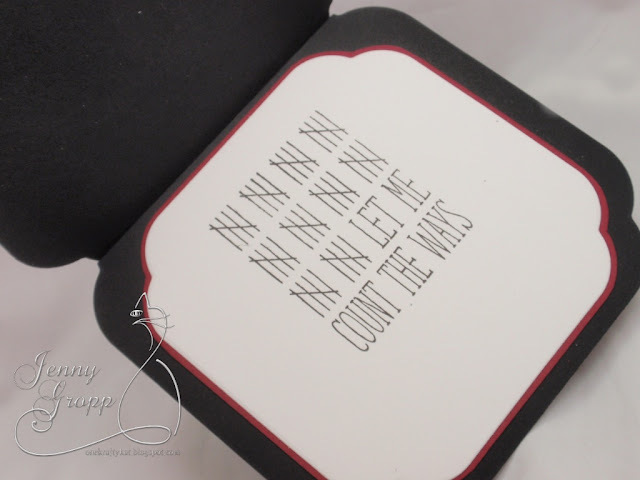 A little inside stamping from the set "Count the Ways" for that forever friend! Dina Kowal creates a beautiful textured image with the "Kissing" technique. I used stamps from my Together Silhouettes clear set - my MISTI (from My Sweet Petunia) was so helpful for getting multiple impressions for great coverage as well as a 'kissed' layer of grey ink for texture (I inked a grid stamp and stamped it onto the stamp, then overstamped the image). I wanted to try a curved version of yesterday's Pleated Skirt Fold tutorial over on Splitcoast, so I used one of the dies from the Hill Landscape Layers set to cut the edge. I wanted to use this grey cardstock for the pleats, so I stamped and sponged on the back side for a little contrast. 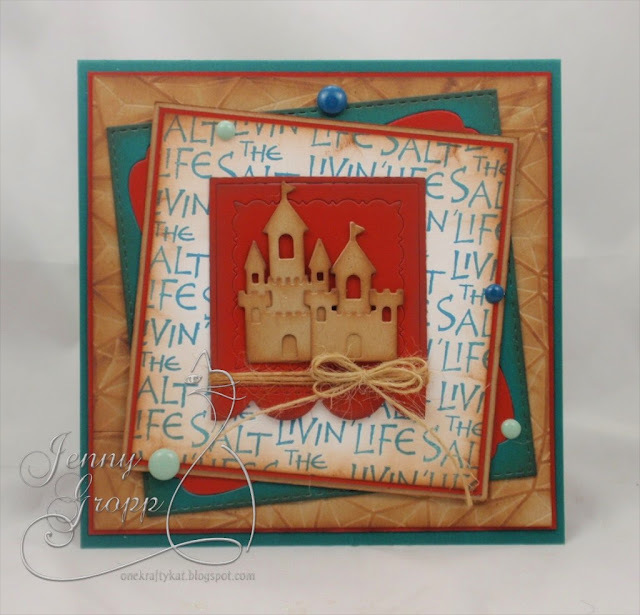 Fun beach card from Jenny Gropp! It's starting to feel like summer here in Atlanta... heading to the beach sounds really nice! I thought I'd build a little sand castle for today's challenge. 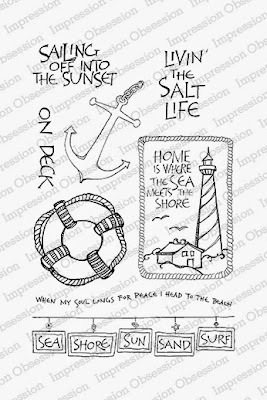 We've got new products to share too and I used one of the new clear stamp sets, Sailing into the Sunset, on my card today. 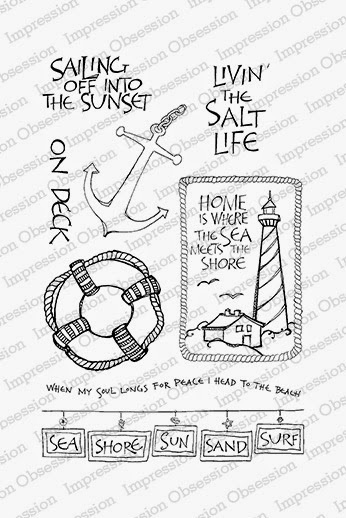 This is a great set for some summer cards or accents on those beach scrapbook pages. IO just introduced some great new dies, which you can see here, several of them are All in One Layering Frame Die sets. I used the new All-in-One Squares Set which has great little stitched edges. I cut the little sandcastle multiple times, just building it out to the right size for my frame. 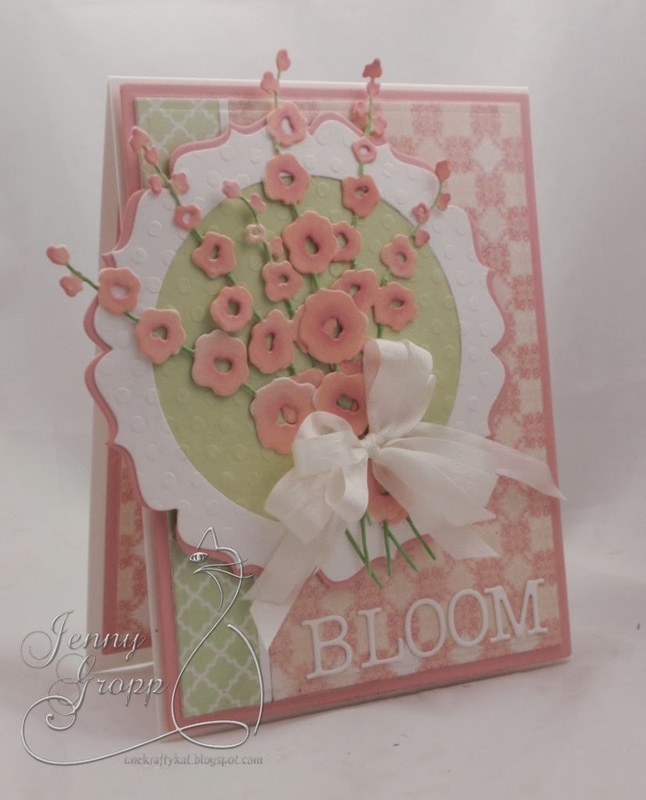 Gorgeous card from Jenny Gropp! I used my Mini Mount to stamp. 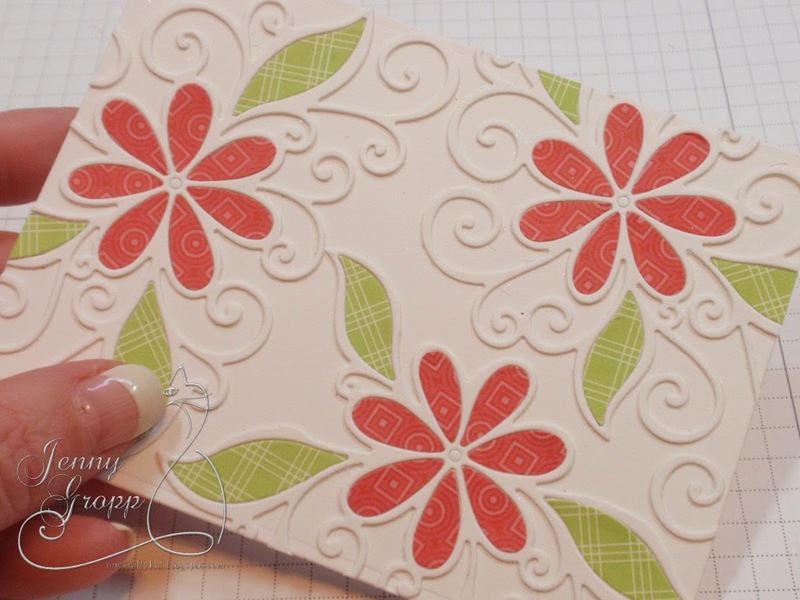 This is perfect for those larger stamps and really helps me get a better stamped image. I always stand up when I use the rocker type blocks... I do think it gives me more even pressure. You can see I stamped the image twice and did a little paper surgery with one image, cutting out the inside using an Xacto knife. At first I started coloring trying to follow the lines weaving in and out. I soon gave up and just went for a color blocking look. On the inside of the cut out portion I did use a Memento Black Marker to edge... just giving the edges a little extra definition to help them stand out. Foam tape raises the top image up slightly to create the window. The little white dots I embellished with Viva Clear Gloss Gel so they look like little raised glass pearls. On the inside I stamped a simple sentiment from the Warm Fuzzies Clear set. Finished card is 4" x 5 1/2" and opens tent style. Beautiful thank you card from Jenny Gropp! I'm so ready for spring and sunshine and happy little colorful flowers popping up! 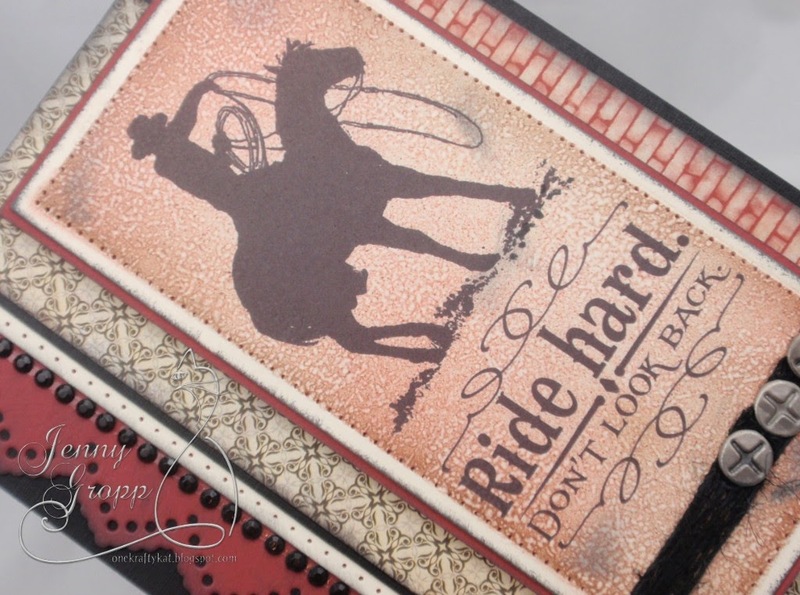 I thought I'd finish off the hop with an easy design that you could change up in many different ways... using different dies and different embossing folders. I don't know that this technique really has a name... I call it paper quilting -layering papers together and then running them through embossing folder(s) to add texture and meld them all together. Maybe you guys can suggest a better name or tell me if this does have a real name! 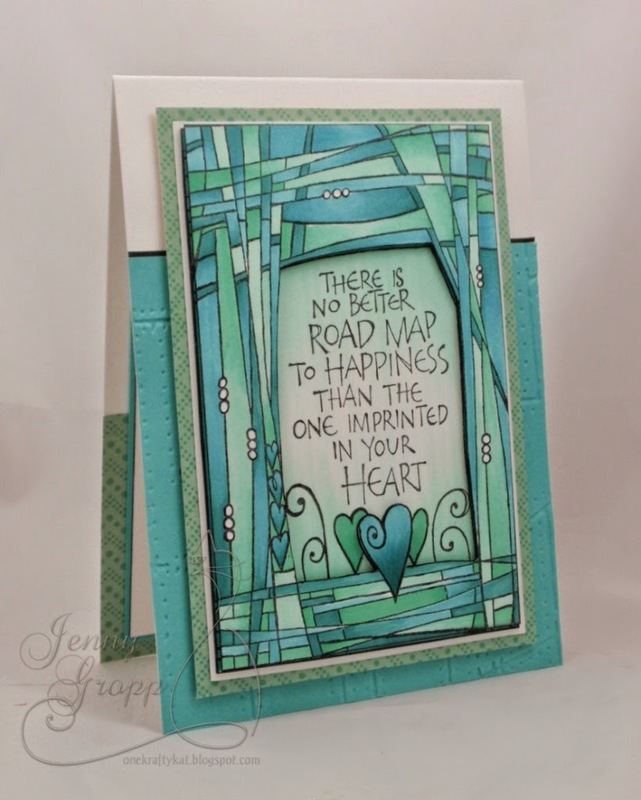 On today's card I used the new Open Scroll Flower Die and new Thanks Die. I did spend a little time die cutting all the pieces, but after that -this becomes a very easy card! I cut all the flowers in white heavy weight card stock and adhered them to my white panel. I then cut the leaves and flowers using patterned paper and pieced them back in place. Anything that hung off the edge I just trimmed off. If you are using liquid glue for this you don't want to use too much -when you send it thought the embossing folder in wet glue can squish out when it's compressed. 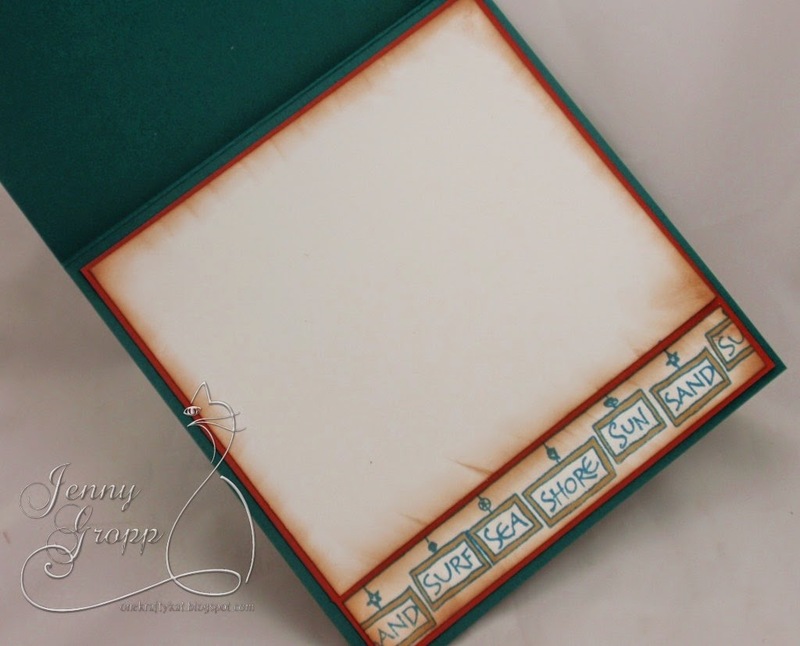 After I had all my pieces glued in place I sent the panel through two embossing folders. First I used a basket weave patterned folder by Darice. Next I used my old fave... the Swiss Dots folder from Sizzix, placing the paper so that the dots were depressed rather than raised. You can see both patterns in the pic above and how everything is really "quilted" together now. HA! I managed to capture a little of the Wink of Stella sparkle in this picture! 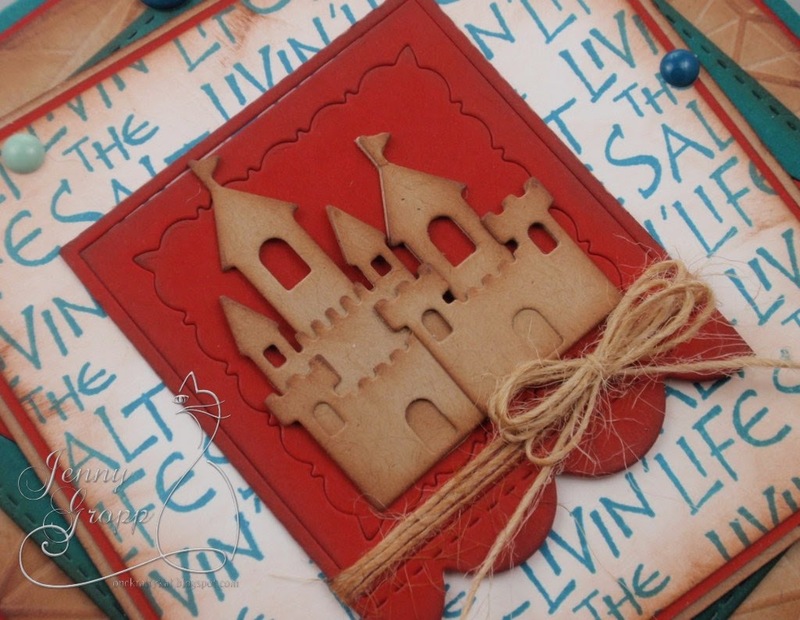 I die cut the new Thanks Die 3 times and glued them in a stack to form an element that has more of a chipboard feel. I added a few layers and popped up the panel with foam tape to give it a little more oomph! On the inside I added a sentiment from the Warm Fuzzies clear set and used the Circle Cut Out Border along the side. Finished card size is an A2. 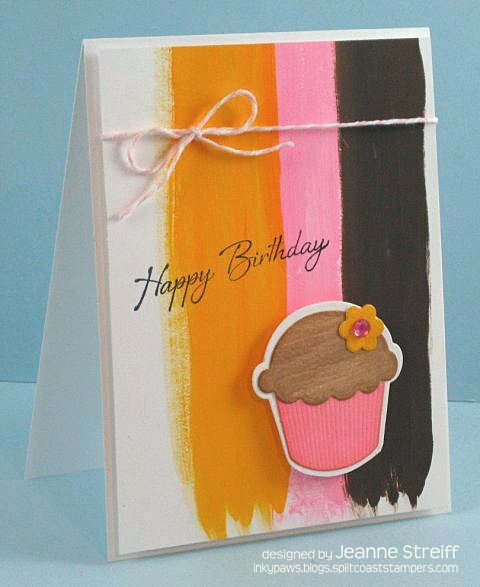 Fun card from Laura Fulcher using H777 Coffee Time, B13250 Pour Sip Sigh, CC188 Calico, CC196 Lg. Speck background and E13235 Coffee Ring. Hi guys! 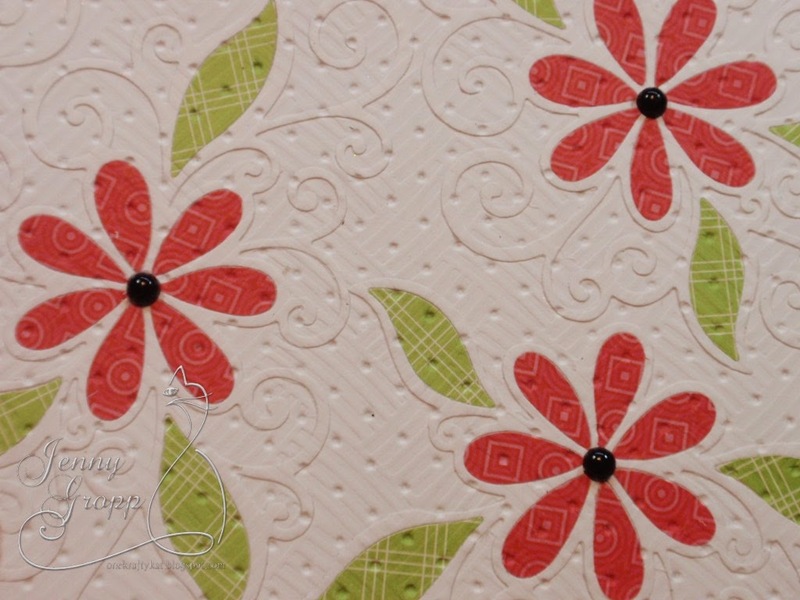 Today I want to talk about layering Cover a Card stamps to build up a background. 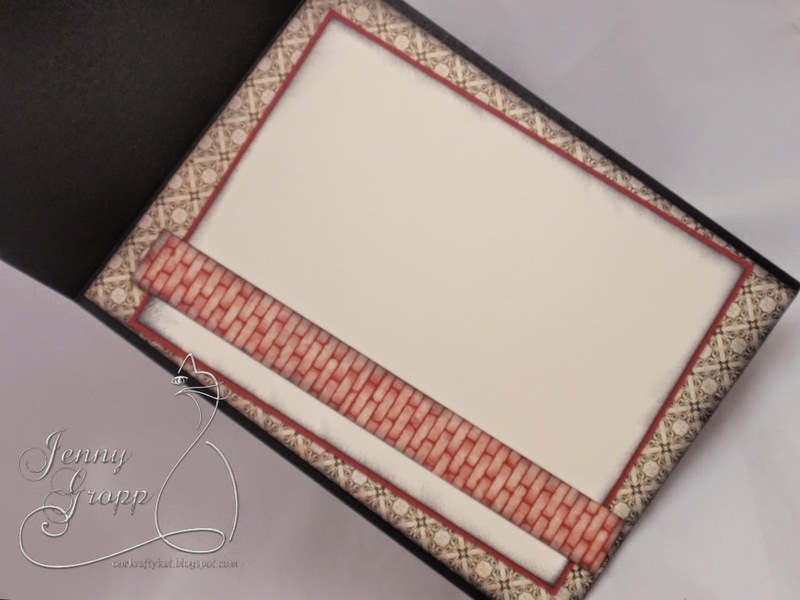 For my card, I started with a kraft notecard and stamped the Calico background on top (CC188) with brown pigment ink. I liked the Calico a lot, but it looked really regimented for the card I was designing. I decided to add the Lg. Speck background (CC196) on top of it using the same brown ink. You can really see the difference you get by adding a second pattern to the mix. 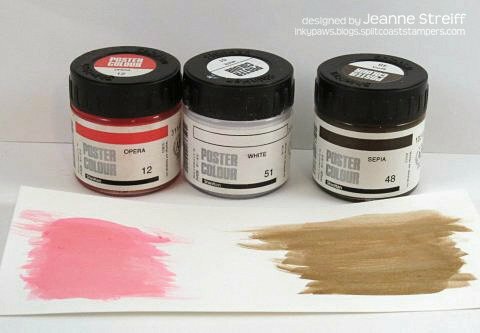 You could use two different inks for this technique for a completely different look. 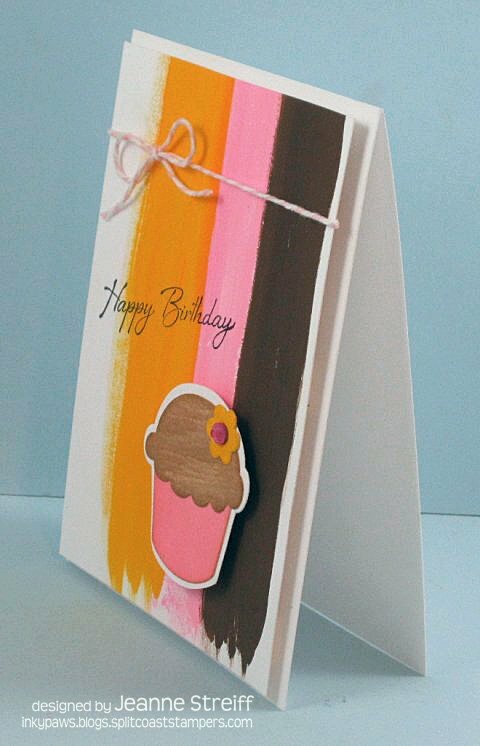 For the finished card, I added the Coffee Time stamp (H777)) and the Pour Sip Sigh saying (B13250). 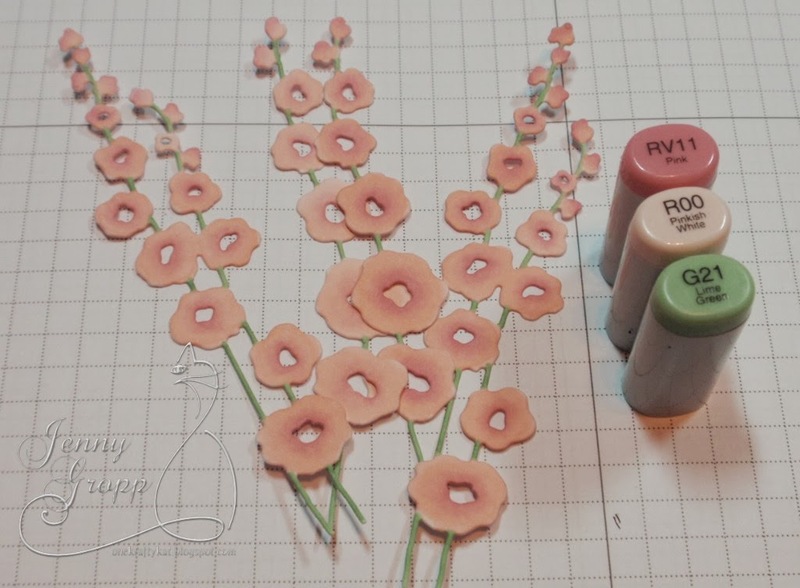 Dina Kowal shares an adorable project using E16019 Tea Cup Flowers. Here's the sample I made, using Quickutz octagon dies. To begin, I cut three 4" octagons. 2 of them are layered together to form the back, and the front panel is layered with smaller octagons. The E16019 Tea Cup Flowers is one I had colored up this summer but didn't use at the time. It worked perfectly for my focal panel. The inside piece for this box is cut to 3" x 7 1/2". I scored at 1/2" from each long side, and then every 1 1/2" along the length of the piece, just slightly shorter than the sides of the octagon. We have a beautiful project from Dina Kowal today! Dina used Pumpkin Pair, CAC Vines Vertical, Thankful & Thank You for Thinking. I watercolored the pumpkins using Distress Markers, and stamped a few background images with the marker ink from my palette. The card is a Pop-Up Book Card, and in general, foldy cards hate me... but this one was surprisingly friendly. Inside the card there are just 2 cut lines, and the score lines were easy to follow. Once it's all folded in the right directions, the center section looks like an open book. 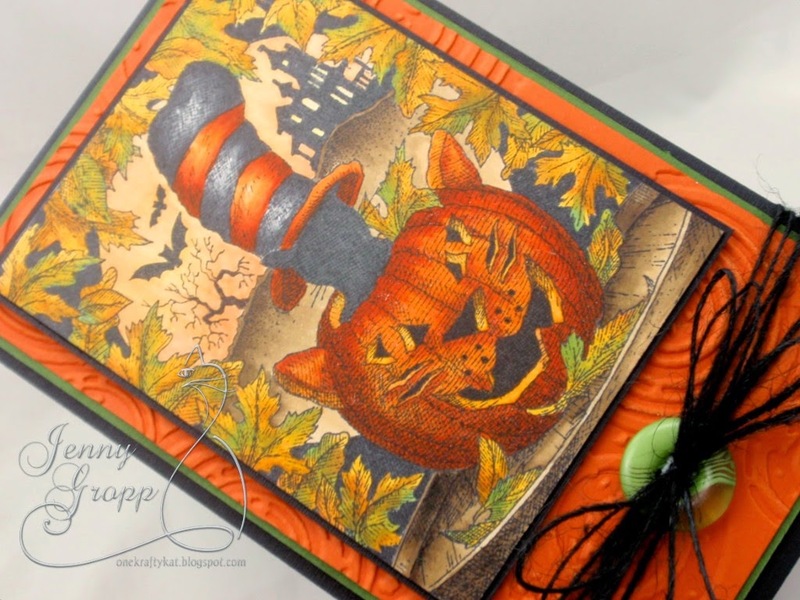 Laura Fulcher shares a masked Halloween card today using C5522 Spooktacular & H7759 Spooky Trees. Pretty and spooky at the same time! I absolutely love making Halloween cards! no bats, cats, or witches. I just took some trees and added a really big moon behind them. There is just something eerie about a really big full moon. Concord Grape, Black Soot). Remove the mask and hello moon! Oooh spooky!!! Well, maybe more cute than spooky. 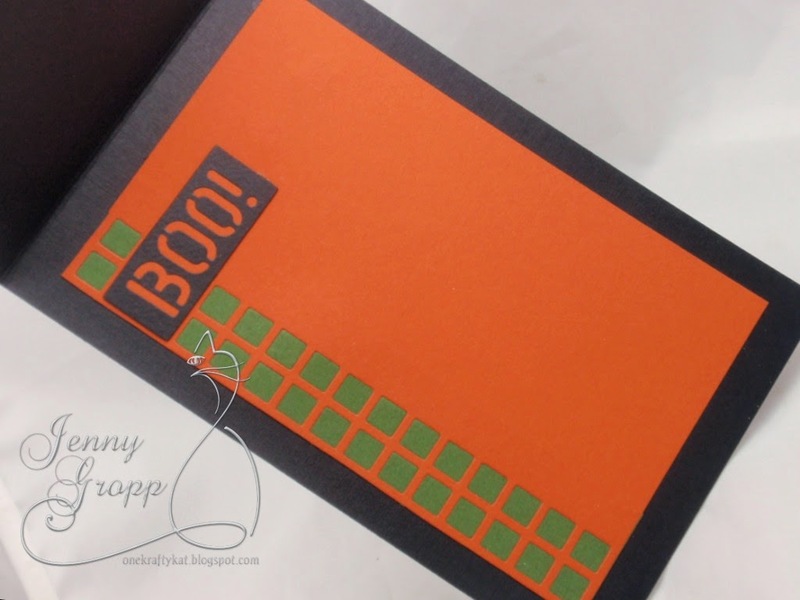 On the inside liner, I used the Alphabet Stencil Dies to spell Boo! 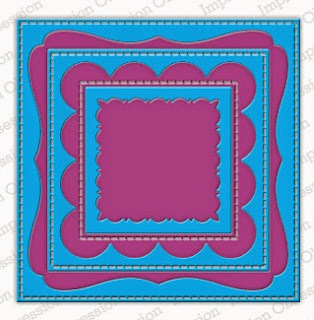 along with the Square Cut Out Border along the side. 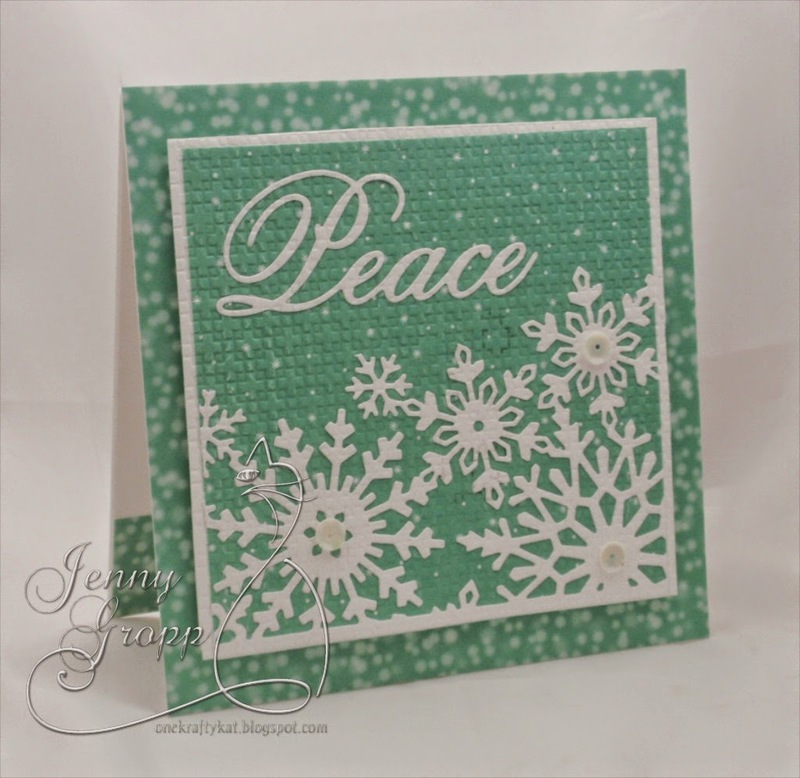 Here is a beautiful winter card from Jenny Gropp using Snowflake Cut Out Dies, Snowflake Background Die and Peace Die. 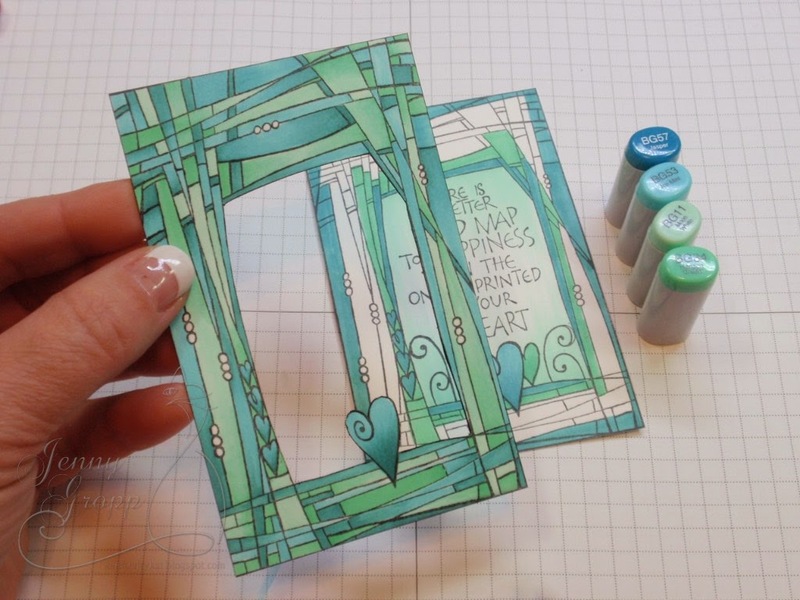 It's an odd card that I only use dies... no Copics, no stamping... but that's how it evolved! I'm all over the new dies and coming soon we'll be tempting you with a blog hop showing all the new dies off! I used the Snowflake Background Die and did some creative cutting to use a portion along the bottom. The Peace Die is also from the newest release. On the inside liner, I used the Snowflake Cut Out Dies, which leave a beautiful peek-a-boo snowflake shape! I LOVE these!!! After cutting out my elements I adhered them to the wintergreen paper. I then ran it thru an embossing folder... quilting all the elements together. 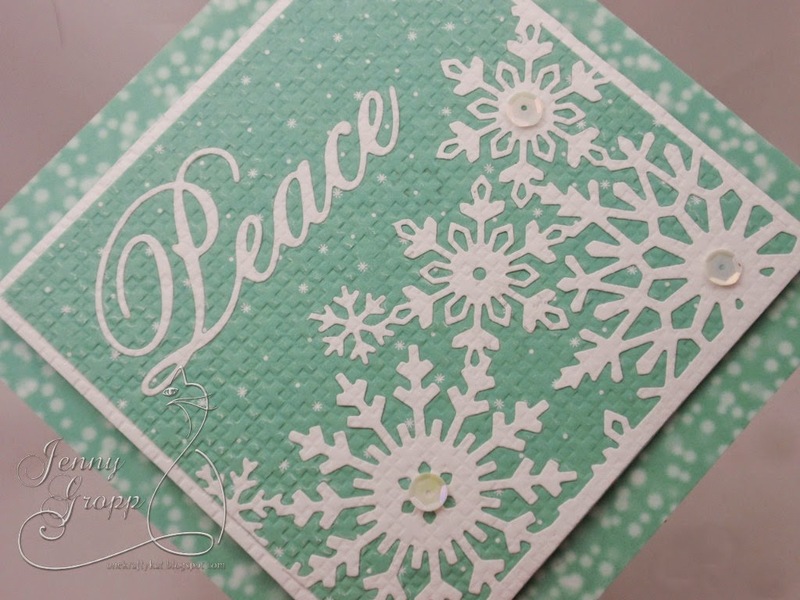 The embossing was very deep and I wanted it a little softer so it didn't compete with the beautiful snowflakes. I used a folded piece of paper and put my embossed panel in that and ran it thru my machine, which slightly flattened out the embossing, leaving a subtle texture. Finished card is 4 7/8" square. I embellished with three little sequins only. NO BOW... shocker. 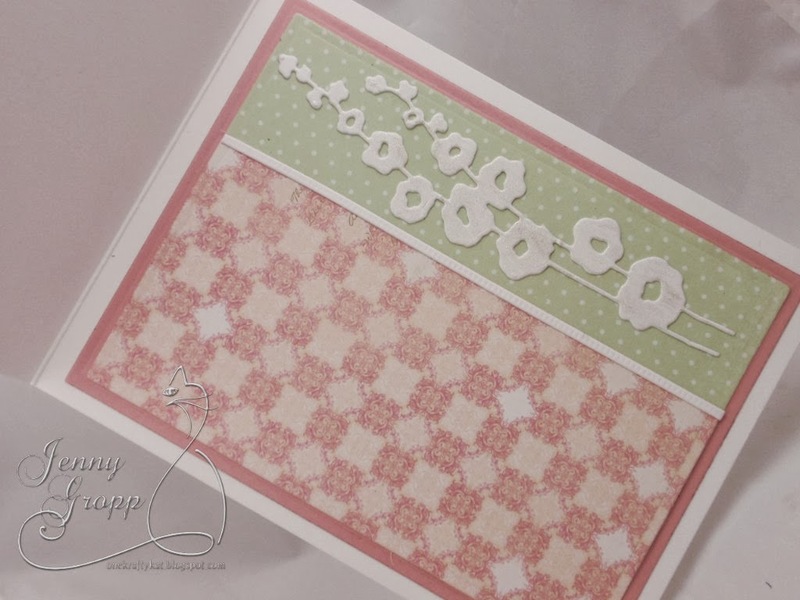 Check out Daniela Dobson's Beautiful Backgrounds Challenge card using Cover-a-Card Ornate Floral and Greetings Top Edgers. Gorgeous! I wasn’t sure how it was going to look stamped in black ink, but I was going to give it a try. I colored the white parts with my watercolor paints. 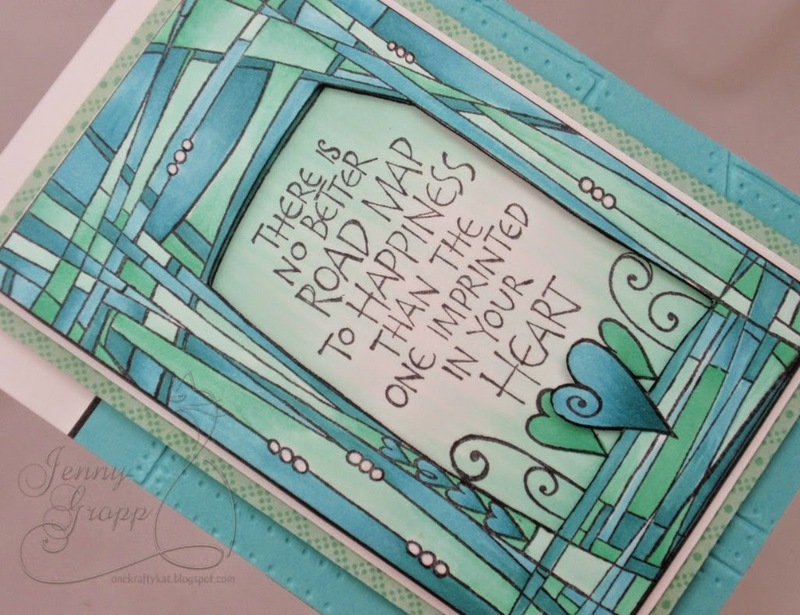 For the sentiment, I used one of the brand new dies Greetings Top Edgers. I die cut it from black glitter paper. I layered it over a piece of white cardstock covered with washi tape. As a final touch I added enamel dots to the flowers. 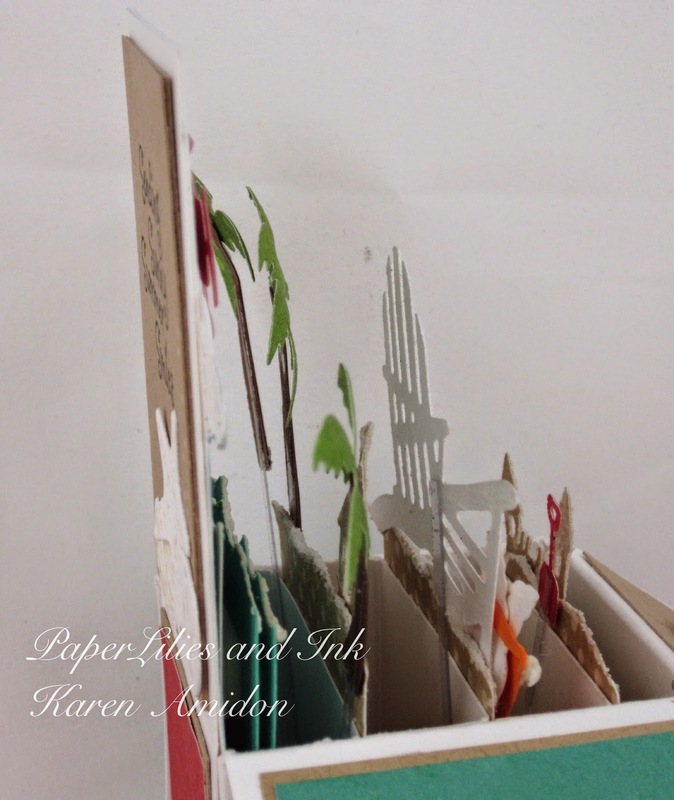 Our Featured Design Team member today is... Karen Amidon! 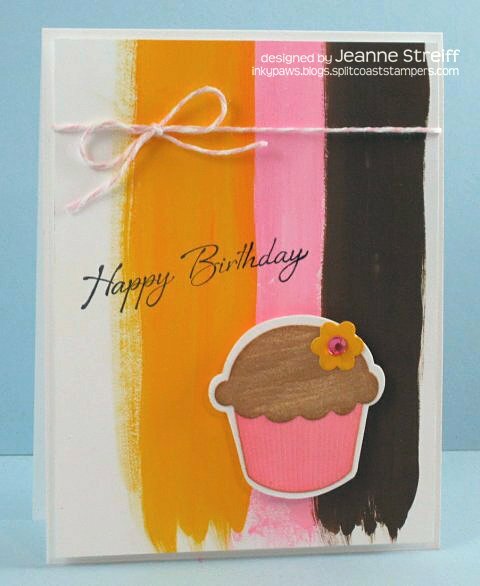 Jeanne Streiff shares a cheery birthday card today using CL462 Sweet Treats CLEAR Set and the matching DIE113-Q Cupcake Die Set. I started out by painting some simple stripes onto white cardstock with Shinhan Poster Colors. 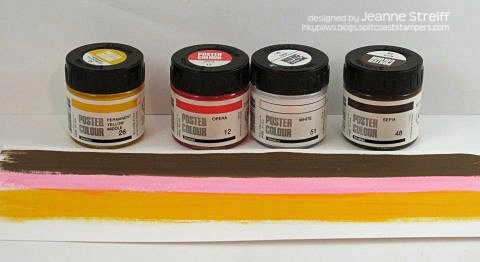 Next I created a wash with the paints by adding water for my cupcake parts (this creates a matching but lighter more transparent color). 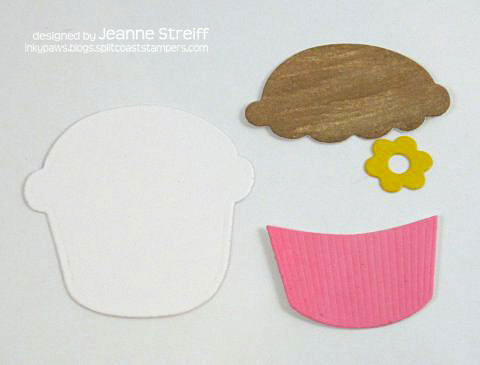 Assemble cupcake and stamp sentiment. Attach panel to white card with foam tape. Add a twine bow to top of card and a rhinstone to the center of the flower. Wowzers! 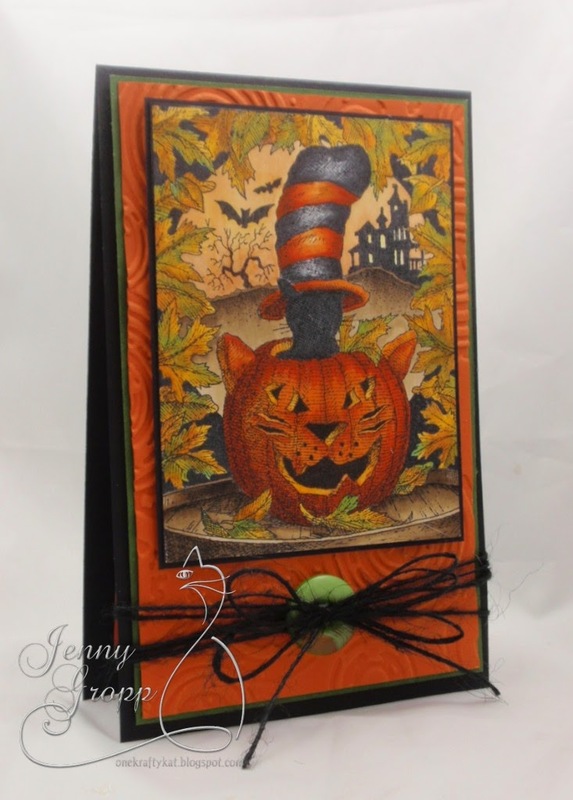 What a fun project from Karen Amidon! 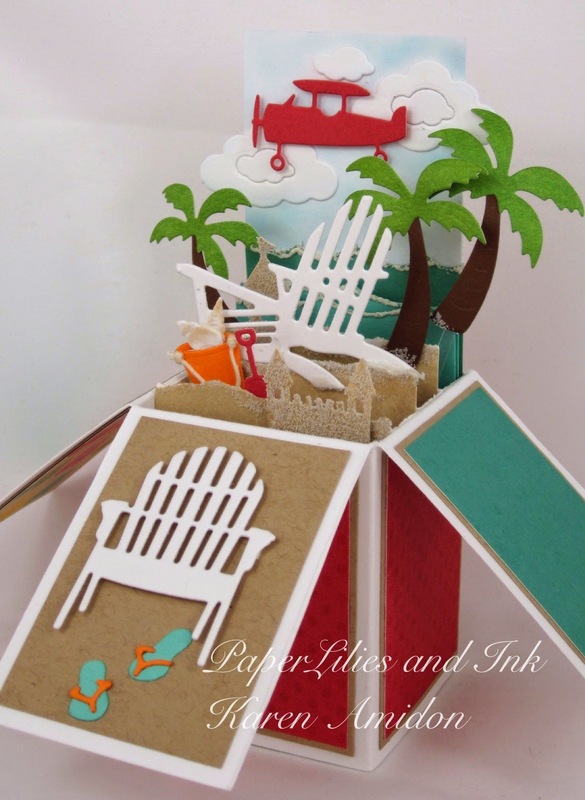 There is so much going on inside this small pop-up box card! The Plane that's flying through the Cloud Trio actually comes with a banner that is trailing behind it. I thought about adding, "Eat at Joe's Crab Shack" but I wanted the card when fold to fit into an A2 envelope! This is the view of the front when the box is closing flat. 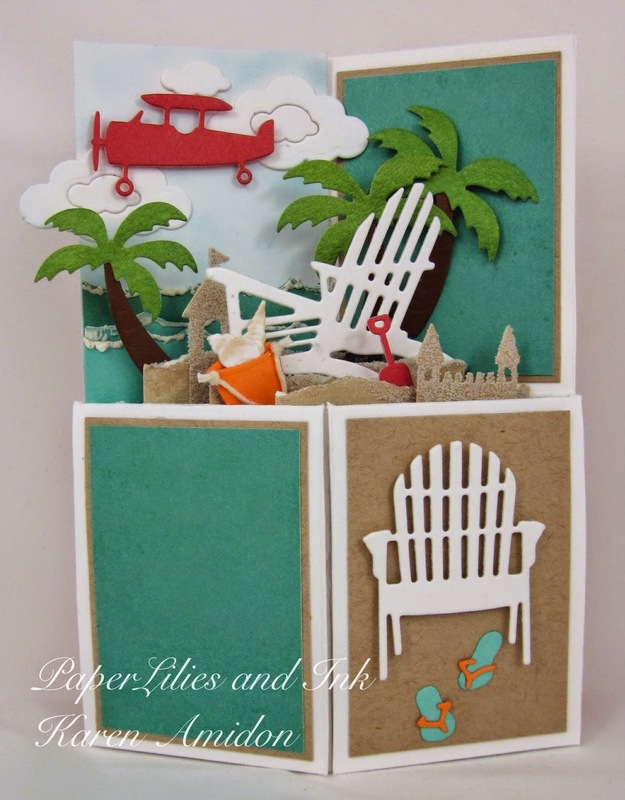 For the beach scene the Palm Trees were placed in the back along with some waves created with the Ocean Border Die. You can see the different layers here with the side view. The sand castles have a light cover of sand on them. I have used a waxed rope for the handle on the pail. These dies and the shovel all come in the Mini Beach Fun Set. I also tucked a few Mini Shells in the pail. The Beach Chair that I used inside the box comes as a set of two. Soon I will be sharing a really fun card I made with those! 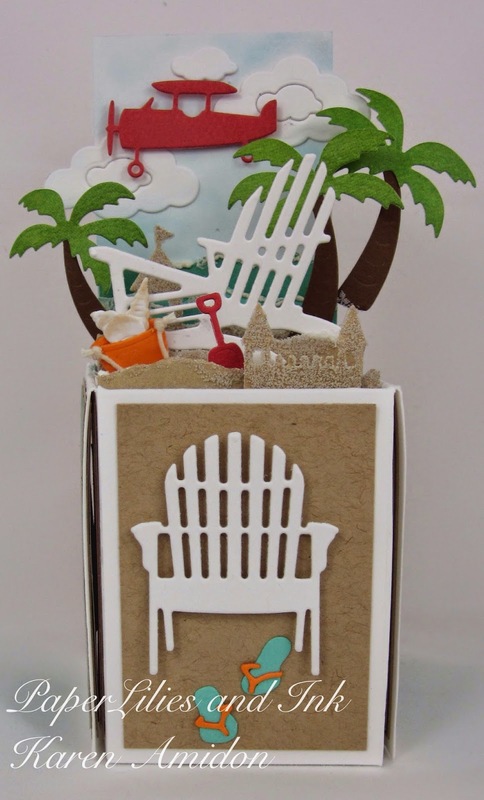 The Single Beach Chair on the flap comes as shown with the pair of flip flops...loving these! Here's the back of the box with its flaps down. This shows that darling Mini Shell Set. I used four out of the 7 shells that come in the full set. 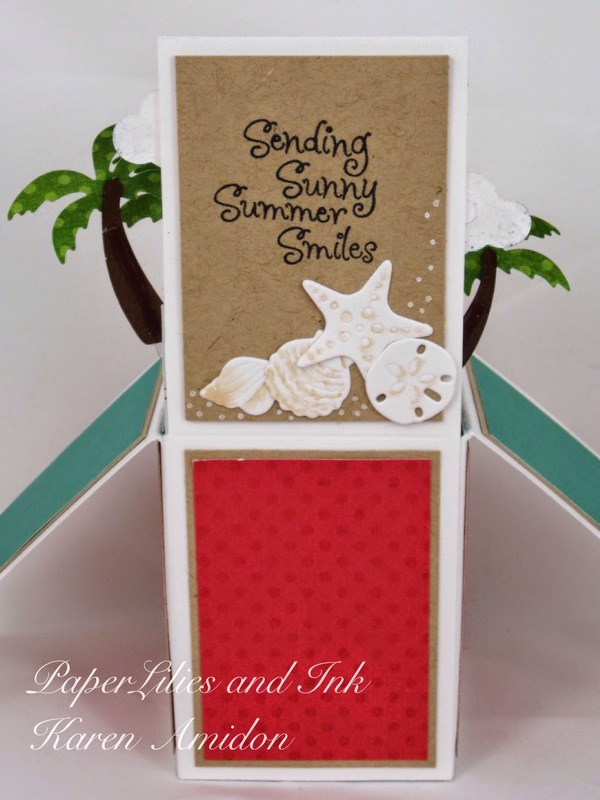 This sentiment seem to fit perfectly..."Sending Sunny Summer Smiles"! Folding flat, ready to mail, and I'm dreaming of a beach trip! 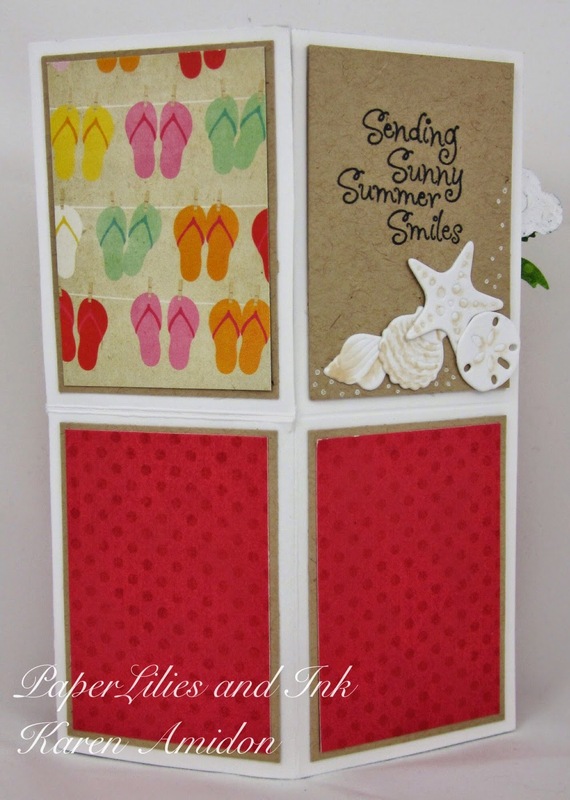 Love this card from Dina Kowal using Smile, Dainty Rose 1 and Dainty Rose 5. For my own amusement, I'll let you know that this card started off as an accident. I stamped and colored a full panel background on label paper, die cut it into squares using the 7/8" Sizzix Grid Works die, and... then realized that I had done all my work on the liner instead of the adhesive-backed side. However... it turned out that I was able to use the liner squares, and the bonus was that I still had 9 lovely die cut squares to work with. Boom! I used another liner paper to line up the squares side-by-side, then did my coloring, using watercolor and distress markers. I used 3 new I.O. stamps: Smile, Dainty Rose 1 and Dainty Rose 5. I stamped the roses randomly across the grid and colored using Distress Markers,blending lightly with water. The squares are adhered to Ivory Inchie Art Squares from Inchie Arts. I love the sweet, perfect matboard border that shows around each sticker. I used Old Silver Inka Gold by Viva to add some shine to the squares, scored and assembled panels, and - done! 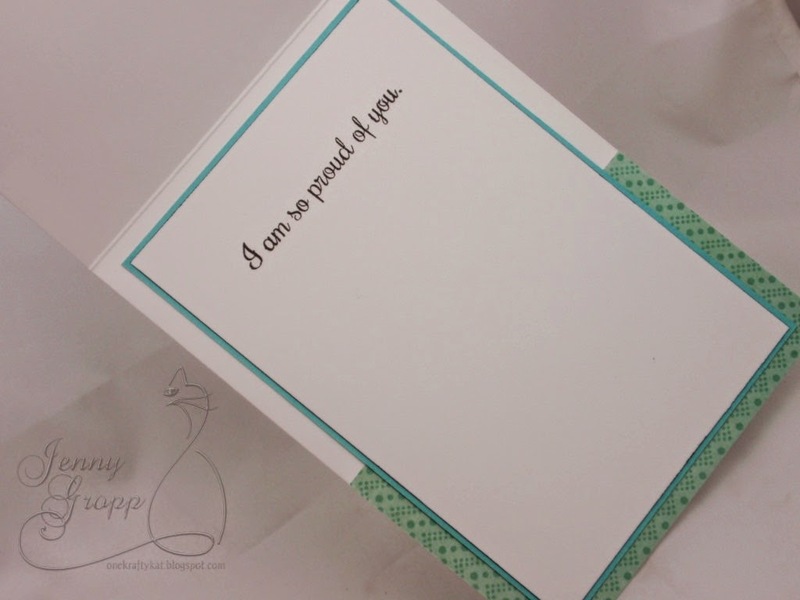 This is a great quick card that could be done with any type of background, or even a large scenic image. I went cowboy for this masculine challenge. 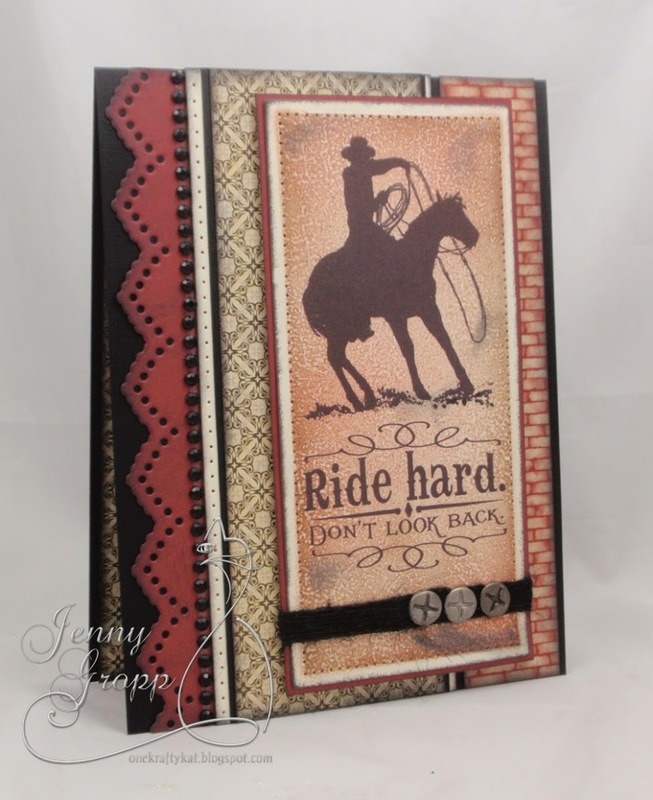 I stamped the Rodeo Silhouette 2 image and the Ride Hard sentiment using Versafine Onxy Black. After Stamping I cut it out with a rectangle die and added my piercing around the edge. I left it in the die and added a few layers of Copic Airbrushing using E07, E44 and E47. After airbrushing I used the Copic Fur Technique to add a little texture to the colored background. I also added a few dabs of smudged black ink. Simple layers on the inside. I used my Perfect Layer Rulers to add lots of straight line layers. The main panel has some black jute string wrapped around it with the hardware brads for a little more of a manly touch. I refrained from adding a bow - it was difficult. I popped the main image panel up with foam tape for simension. The finished card is an A2 and opens tent style at the bottom. I love this die!I know I say that all the time with IO, but it's true! Daffodils and Lenten Roses are blooming right now in my yard... the key to their health is me not taking care of them! Hopefully they won't get frozen with this crazy weather! I chose my flower colors around the paper I was using: Bo Bunny's new Primrose Collection. I used the new Typewriter Alphabet Die to cut and spell and out BLOOM along the bottom. I used the Circle Shaker Frame as my background. I added a green center piece and then embossed it with a Polka Dot Embossing Folder.The embossing was a little too much so I toned it down to a little by running it through my embossing machine in a "paper only" sandwich, flattening out the pattern. To get the pink frame edge. I cut the frame in to four equal pieces and glued it to the back. I cut the Hollyhocks out of Neenah Classic Crest Solar White 110# card stock. I colored them using the three Copics shown. I used a Clear Wink of Stella pen to add some sparkle. 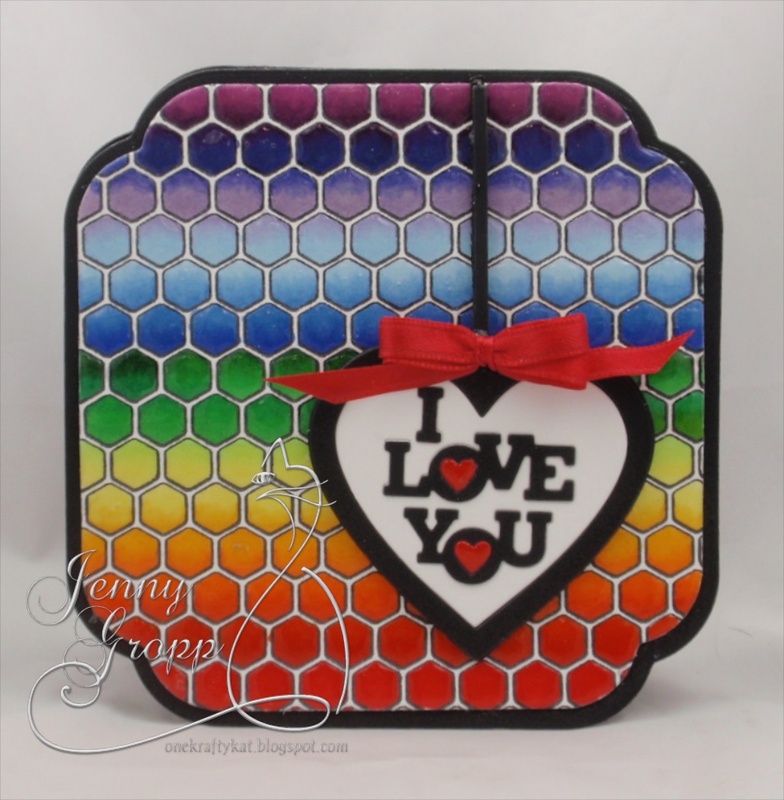 I took this in my craft room as I was making the card, the sparkle does not show when I photo it using my light tent. The finished card opens tent style at the bottom. I added a white hollyhock die piece down the side. I also added a little Clear Wink of Stella pen on the white flowers for some sparkle. Here's the up close, I added a foofy white silk bow. The Clear Wink of Stella Glitter does not show up in my light tent.... sugar sparkly in person!